These 3 young stars of The Martial Arts Kid, Jason Panettiere, Matthew Ziff and Kathryn Newton, have a huge future ahead of them and so does this action family movie as it gives them the opportunity to let their exceptional synergy shine forth as they work together. Learn more about these young stars below. 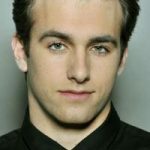 Matthew Ziff (The tuff bad boy role in The Martial Arts Kid), has worked in various genres in such films as ‘Mansion of Blood’ (Robert Picardo), ‘Hard Flip’ (John Schneider, Rosanna Arquette), ‘Among Friends’ (Danielle Harris, Jennifer Blanc), ‘Six Gun Savior’ (Martin Kove, Eric Roberts) and ‘Treachery’ (Michael Biehn, Richard Gunn). In 2012, Hollywood Magazine named him “Hollywood’s Newest Heartthrob” and he is ranked on IMDB as one of the “Most Popular Under 25”. In addition to acting, he has been involved as a producer, (“Never a Neverland”). 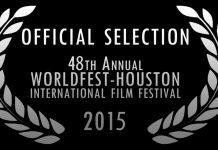 For “Treachery”, he recently won “Best Actor” at the Hoboken International Film Festival. Some of his more recent projects include “Union Bound” where he plays William Owens opposite Sean Stone and Randy Wayne. Matthew is proficient in various sports and has his second degree Black Belt in Tae Kwon Do. He has studied Hapkido as well as Kendo (swords). He is a marksman with rifles and pistols and plays saxophone, guitar and bass. In July, 2012, he represented the USA in the International Quidditch Association’s Summer Games during the Olympic Torch Relay in England, where Team USA won the Gold medal. Kathryn Newton (The romantic interest of both lead males in The Martial Arts Kid), is an American teen actress best known for her role as Louise Brooks in the CBS television series ‘Gary Unmarried’ as well as for her role as Alex Nelson in the 2012 feature film ‘Paranormal Activity 4’, which earned her the 2013 Young Artist Award for Best Leading Young Actress in a Feature Film. Newton commenced her career at age 4, making her television debut on the soap opera ‘All My Children’, playing Colby Marian Chandler from 2001 to 2004. Meanwhile, Newton also starred in two short films, ‘Abbie Down East’ (2002) and ‘Bun-Bun’ (2003). In 2008 Newton was cast for the role of Louise Brooks in the CBS television series ‘Gary Unmarried’, working alongside Jay Mohr, Paula Marshall, Keegan-Michael Key, Brooke D’Orsay, Ryan Malgarini, and Rob Riggle. The show won “Favorite New TV Comedy” at the 35th People’s Choice Awards in 2009. In 2010 Newton won two Young Artist Awards for “Best Performance in a TV Comedy Series” and “Best Performance in a TV series (Comedy or Drama)” for Gary Unmarried. Newton most recently played the role of Chase Rubin-Rossi in the 2011 film ‘Bad Teacher’ alongside Cameron Diaz. She had the lead role, Alex, in the 2012 film ‘Paranormal Activity 4’, the fourth in the franchise, which she won an award for her leading performance at the 34th Young Artist Awards. THE MARTIAL ARTS KID is THE movie to watch for in 2015. Starring my good friends Don ‘The Dragon’ Wilson, and Cynthia Rothrock. It is such an honor for me to serve as Executive Producer of the movie and have a scene in the film. Don’s brother James Wilson is the Producer along with Cheryl Wheeler-Duncan and Director Michael Baumgarten. Superstar World Champion Martial Artists, Rothrock and Wilson, who have starred in over 75 action/martial-arts films combined, play the aunt and uncle of a troubled teen named Robbie, who will be played by Jansen Panettiere. (“Tiger Cruise”), who moves to a beach town in Florida after the death of his mother. They both teach him martial arts as a way to heal and to protect those he cares about and himself. The cast is joined by 9 Grand Master martial arts legends in the movie as well! Bill ‘Superfoot’ Wallace, OLANDO RIVERA, Christine Bannon-Rodrigues, Jeff “The DC Bomber” Smith, Glenn C. Wilson, Alan Goldberg and others. Major roles cast include TJ Storm (“Black Cobra”) as the opposing instructor to the “Kid”, Matthew Ziff (“Six Gun Savior”) as the bully and tormentor of the “Kid” and winner of numerous awards and Kathryn Newton (“Bad Teacher”), who plays Rina, the object of Robbie’s affections. 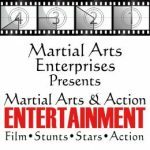 The Martial Arts Kid could be one of those hallmark, very special, epic movies with a real message…one that embodies the rich history of teaching the martial arts to the young and passing down these sacred traditions, while at the same time dealing with the critically important current movement of anti-bullying. Other roles are Natasha Blasick (“Meet The Spartans”, Sasha on “Days of our Lives”) and Tara Cardinal (“Legend of the Red Reaper”), Inga Van Ardenn (“Crossing Shadows”), comic Graham Elwood (“Cram”), Jeff Behar, Adrienne Camille (“The Devil’s Dozen”), Daniel Moncada (“Sabotage”), Sofya Skya (“Assassins Run”) and Vicki Vodar (“Cross Threads”) . Composer/songwriter Martin Blasick, who gained serious Oscar consideration for his work on “Magic Mike” – is a contributing songwriter. Emmy award winning composer Boris Zelkin is doing the soundtrack. Cinematographer Denis Maloney is on board as Director of Photography. He shot “The Contender” with Jeff Bridges, Joan Allen & Gary Oldmann, and “No Vacancy” with Timothy Olyphant and Christina Riccci. Michael Baumgarten is the Director and screenwriter . He is an award-winning screenwriter notably for “Smitty” with Peter Fonda, Mira Sorvino and Lou Gossett Jr.
Don ‘The Dragon’ Wilson won a total of 11 World Titles with several sanctioning bodies that included the IKF, WKA,KICK, ISKA, STAR and the PKO. He won his IKF (www.IKFKickboxing.com) FCR Cruiserweight World Title. Having never been challenged for his title, Wilson voluntarily retired it to move down to the Light Heavyweight Division, where he eventually retired from fighting a few years later. His was also inducted into the Hall of Fame in 2010 by WKL World Kickboxing League i know don for many years and he is one of the most liked legends in the sport and always fun to hang with.